Earlier this week I stopped by the Tunnel Drive Trail area to take advantage of the beautiful Indian summer fall we have had this week. 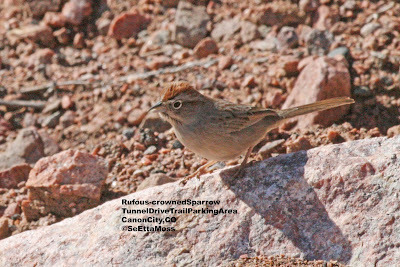 Because the Tunnel Drive area is located as the mouth of the Royal Gorge canyon, which serves as a funnel that makes for strong winds, birding here can quite nasty when the temps are cold. 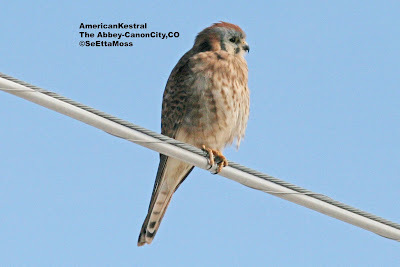 Since there wasn't any construction happening in the parking area, I decided to check out what they are doing and look for Rufous-crowned Sparrows. 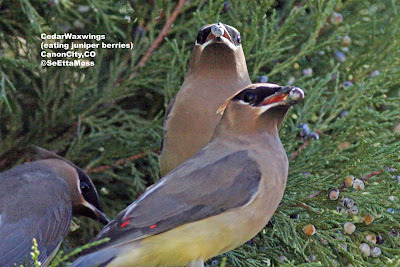 This morning I went looking for Cedar Waxwings to check out what they are feasting on. 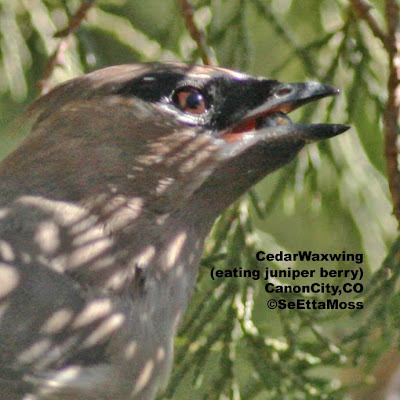 I found Cedar Waxwings in an additional location in Canon City today--that makes three different locations so far with two locations far enough apart there evidently at least 2 flocks in town. As shown in the top pic, juniper berries were on the menu again.